Run and a burrito? Mais oui. Reminds me of Austin Powers... "smoke and a pancake? cigar and a crepe?" Lunch time today was crunch time. 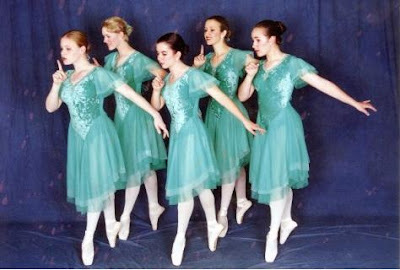 I have a dinner tonight with some of my oldest, dearest friends in the world, the ladies I danced with growing up. I can't WAIT. I also have to jet out of school at 2:15, pick up Henry, and swing by Roo's school to grab her so I can head downtown to pick up my race packet for Sunday. I knew I wasn't going to have time for a run, so I had to get it in at lunch. My plan was to run my 2 miles (easy) then come back and eat my lunch during my next class. Only problem was that I forgot my lunch today. WHOOPS! I seriously had no idea how I was going to get to both eating and running, so I mapped out a two-miler that ended at the Mexican grocery down the street from my school. Mysterious whispering fairies. Why do I look like I smell something bad?